Your name doesn't have to be Eddie to soar the heights of the Mornington Peninsula, thanks to Aurthurs Seat Eagle, opening this December. The newest recreational activity on the Peninsula will open up the most magnificent views of Port Phillip Bay, and you are invited along for the ride. 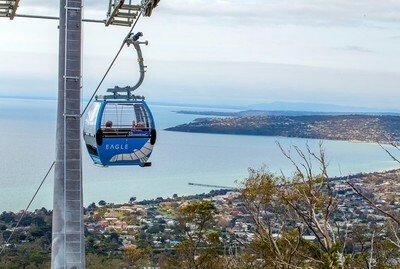 The Eagle is a 19m tall gondola ride that is set to fly high over Arthurs Seat, giving your family the opportunity to take in a bird's eye view of the bay and beyond. The Peninsula attraction opens after the previous chairlift at the same spot closed due to mechanical issues more than a decade ago. This time around, a cool $20 million has been invested in The Eagle, proving to be a bigger, better, and more reliable operation. Construction started in October 2015, with the final touches now taking place. A 2km cable has been installed to carry tourists in 24 gondola cars (each holding 8 passengers) to the top and bottom of Arthurs Seat. 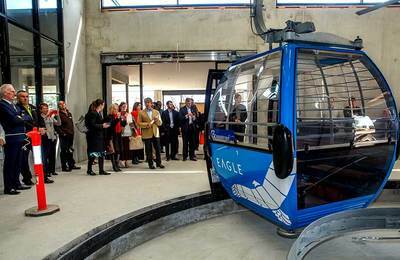 Be one of the first to hear of Arthurs Seat Eagle's opening event (on 3 December, 2016) and bookings on a gondola thereafter, by swooping over to the new Arthurs Seat Eagle website. Alternatively, follow all the latest news on Facebook.